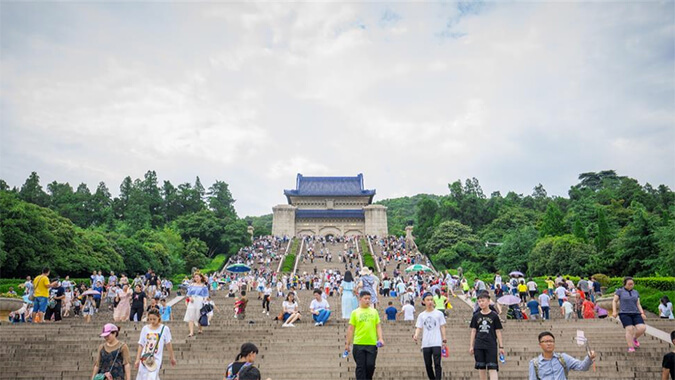 The Mausoleum of Dr. Sun Yat Sen, the great forerunner of the Chinese democratic revolution, and its affiliated group of monuments, has been hailed as the first Mausoleum of modern Chinese architecture. 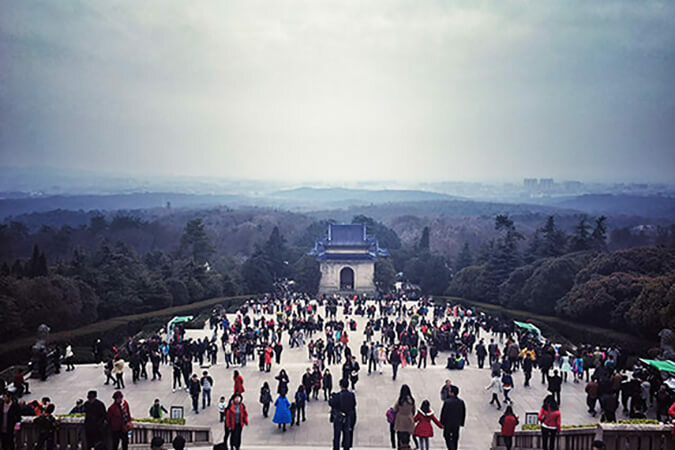 Dr. Sun Yat-sen’s Mausoleum covers a total area of over 80,000 square meters. The main architecture of not includes : the arch, ramps, Mausoleum doors, the pavilion, and the tomb of the festival hall etc.. Looking down from the air , Dr. Sun Yat-sen’s Mausoleum appears like a liberty bell lying on a green carpet . At the foot of the hills the bronze statue of Dr. Sun Yat Sen is like the steeple bell. The half- moon shaped square appears like the curving arc of the top of the bell , and dome roof of the tomb is like a round pendulum.